The first hour after sunrise and the hour before sunset is called the golden hour and much of our vision quest will be spent experiencing the the light and colours of this magical time. 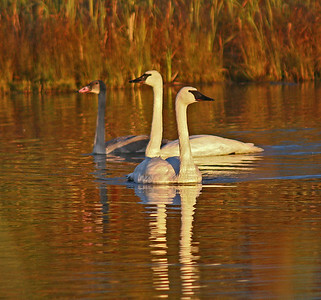 The golden hour can be bold, but it’s more often about the soft golden light that oocurs when the sun is at or near at the horizon. Light is diffused by traveling through a greater slice of the atmosphere. The result is often a less intense, less saturated light and colours that paint the sky in tints, tones and shades. With the sun low in the sky, the golden hour is also about long shadows. 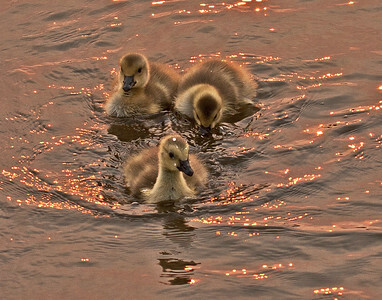 Click on an image below to start a full screen slideshow and explore the golden hour. 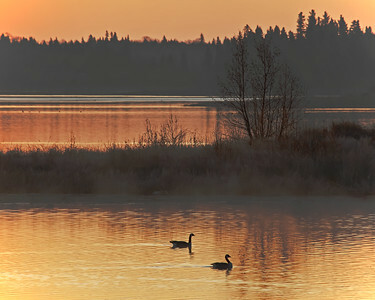 Two Canada Geese ply the placid waters of Astotin Lake at Elk Island National Park during the golden hour of sunrise. The golden hour at sunset. I waited three hours to capture this image. 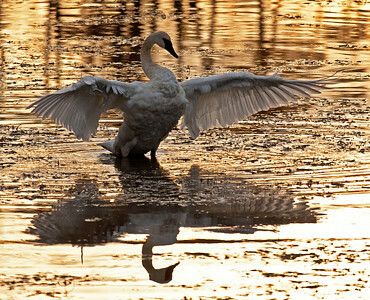 The golden hour is not just a time, it's also a feeling. 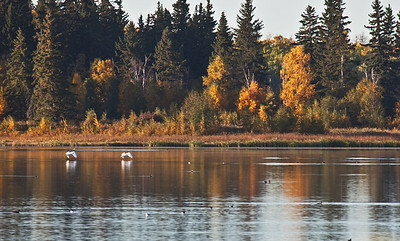 Dawn at Cascade Pond in Sherwood Park and the water, sparkles. 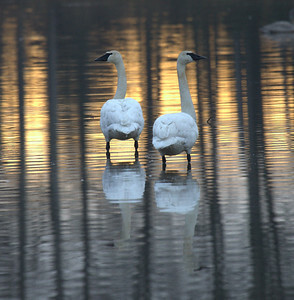 Trumpeter swans lit by the magic of the golden hour. Sunrise is just peeping over the horizon, chasing away the light of the Blue Hour and transitioning to the Golden Hour.